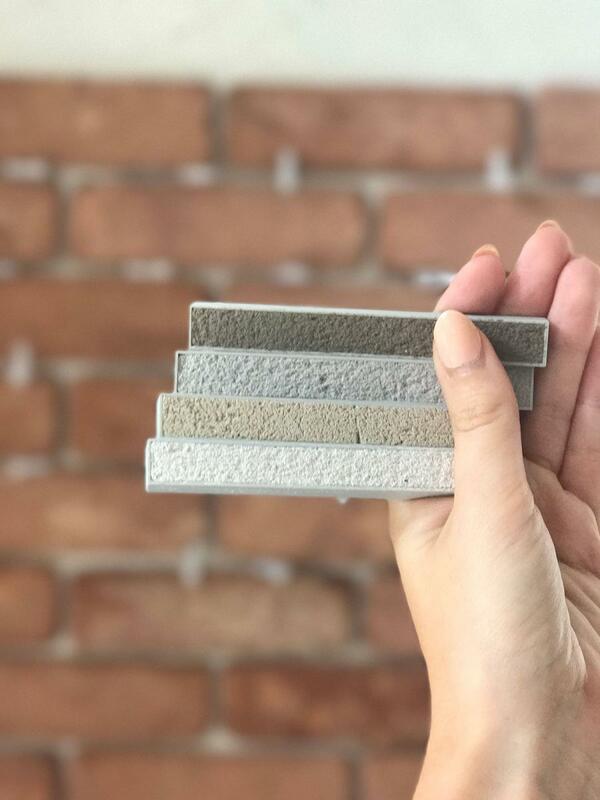 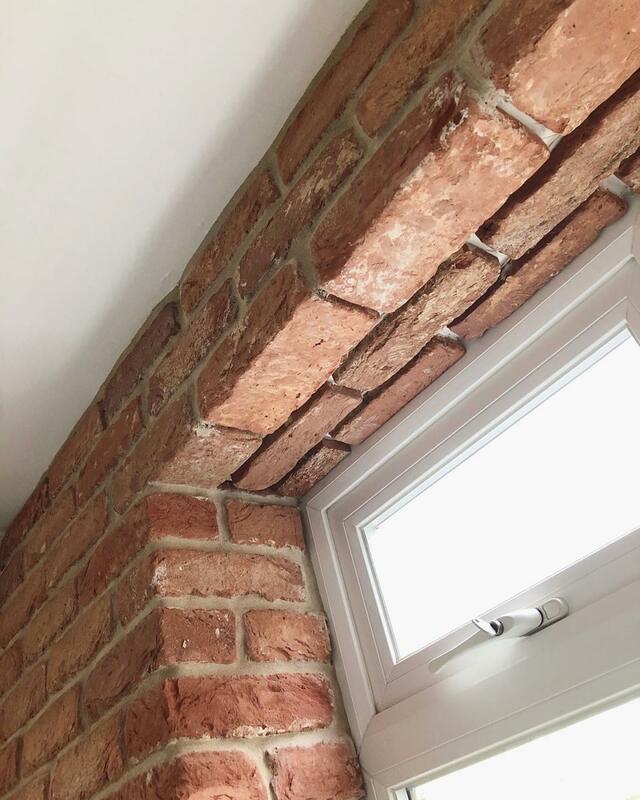 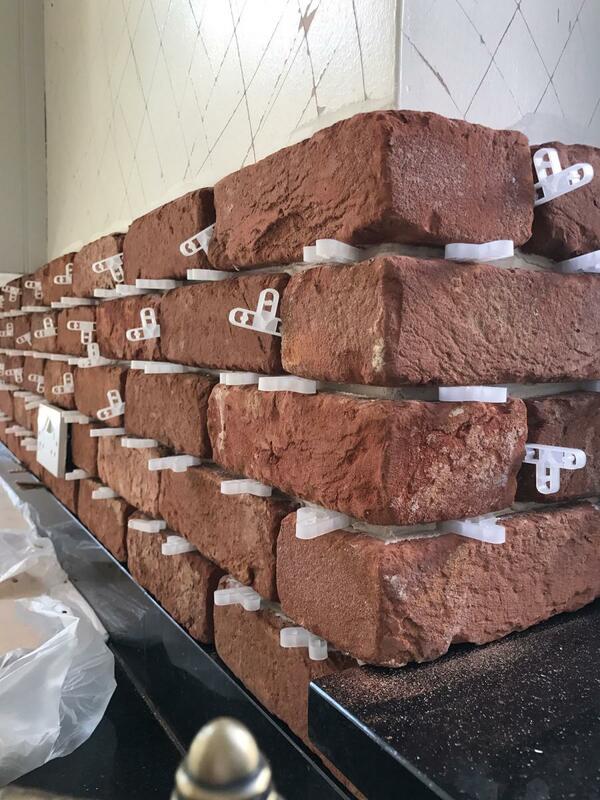 After seeing brick slips being used in restaurants and interior design this customer was bitten by the bug of brick slip cladding. 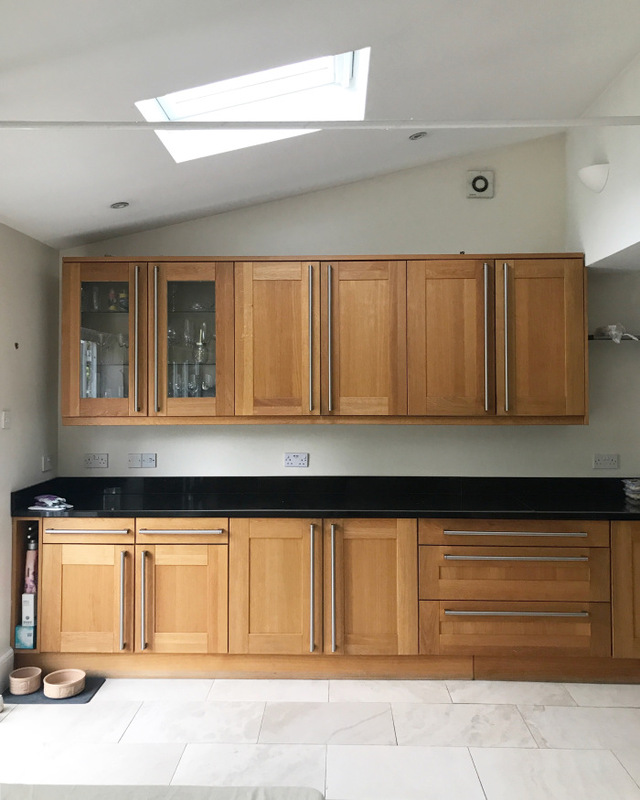 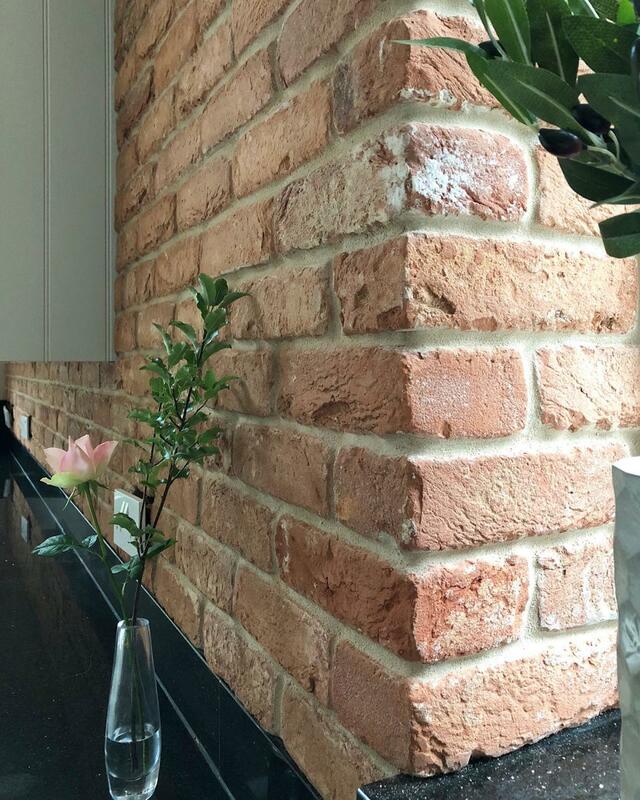 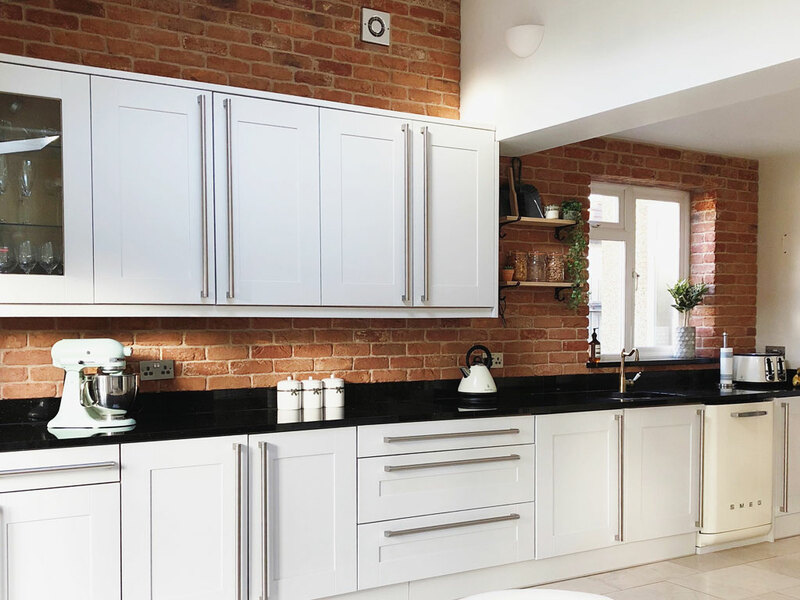 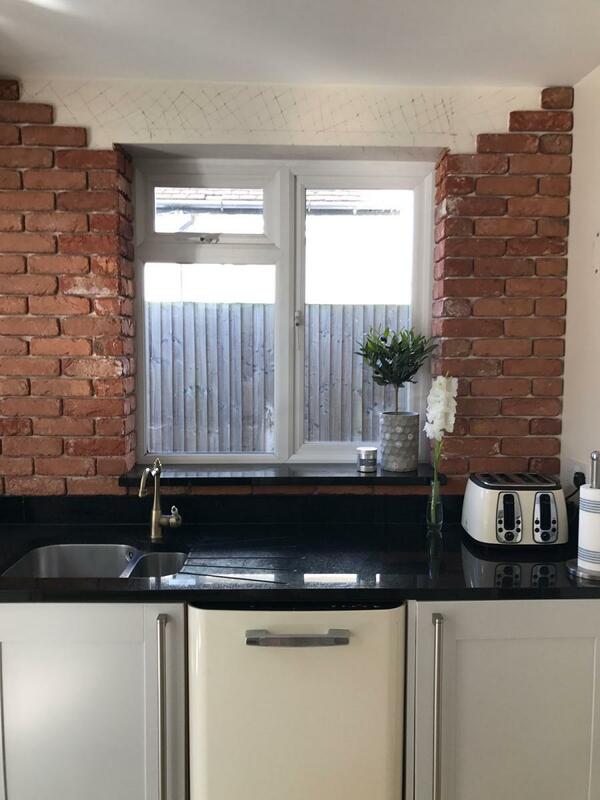 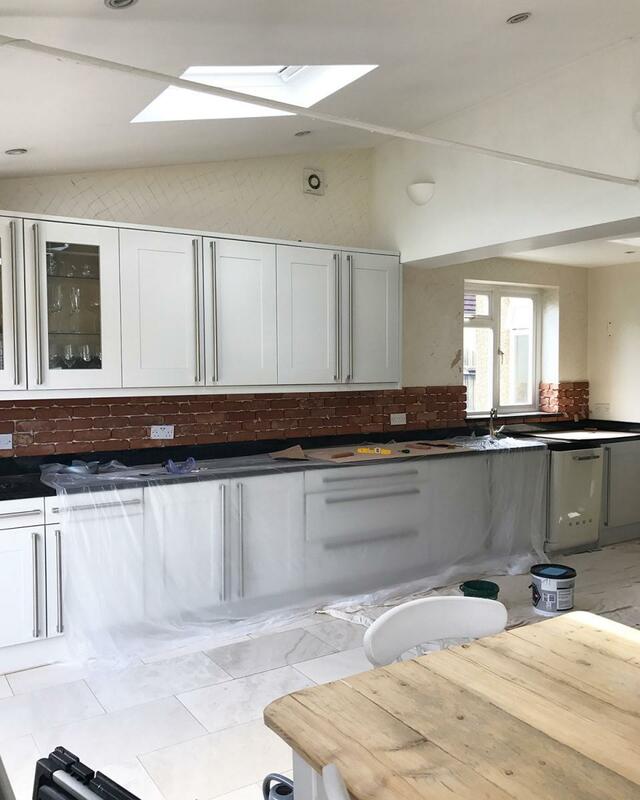 Realistic and convincing, our customer decided that this wonderful kitchen project had to have a brick slip feature wall. 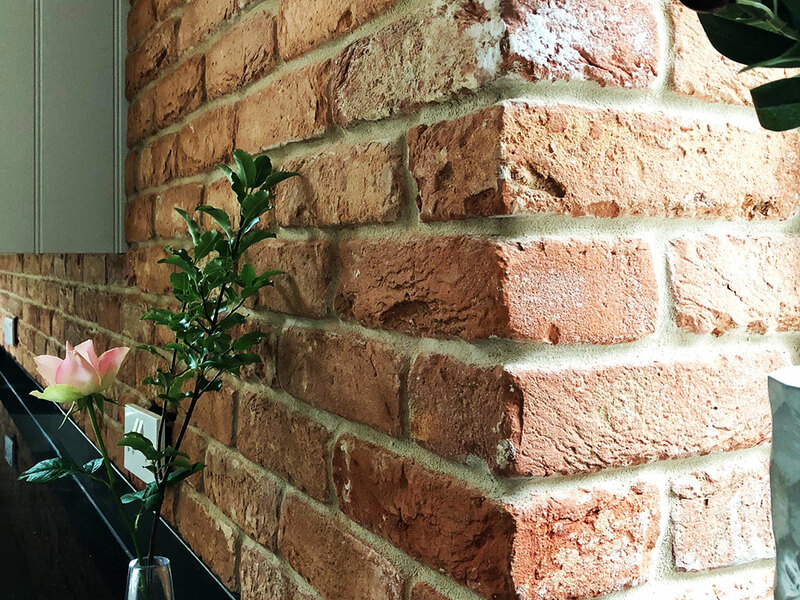 Using the Olde Bayswater to its most effective, the customer chose an internal face of an external wall as the feature. 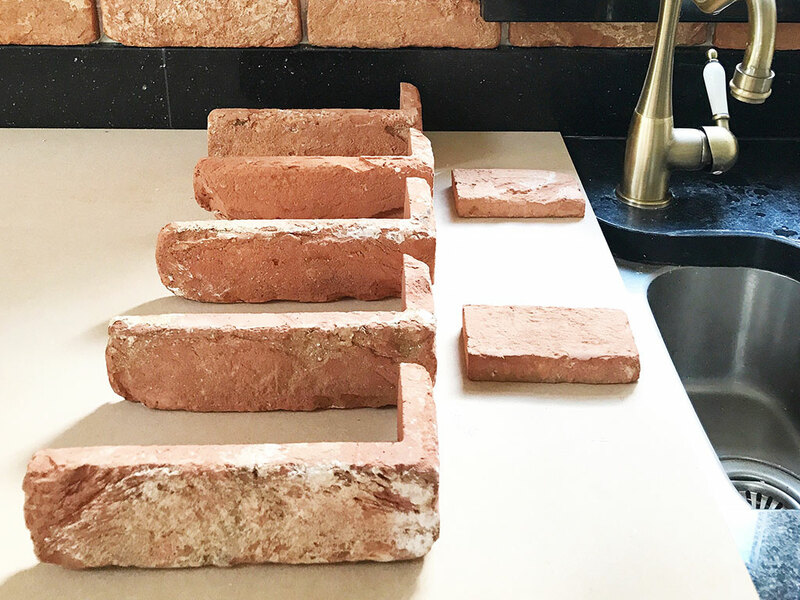 This method of application along with the use of brick slip corners plays the ultimate convincer. 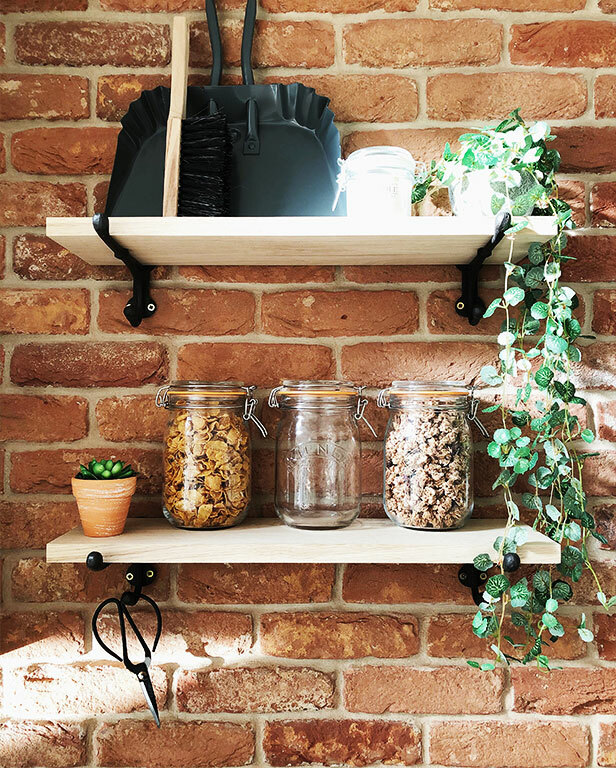 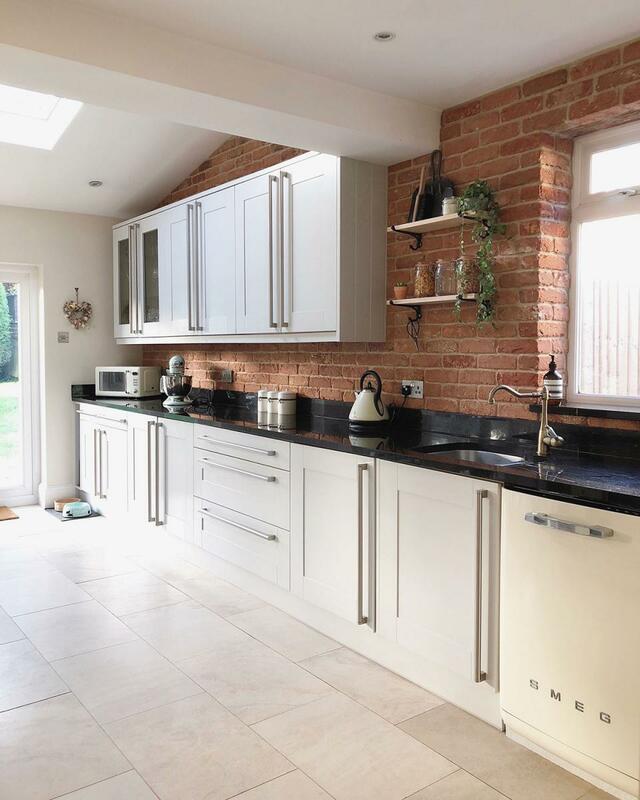 The natural texture and variations in the brick work create very homely warmth that consumes the whole kitchen.